Heading out to Monarch Ski Resort today. This will be my third time to the mountains this season. I hear that it gets some of the best powder around so hopefully it'll be good day for snowboarding. 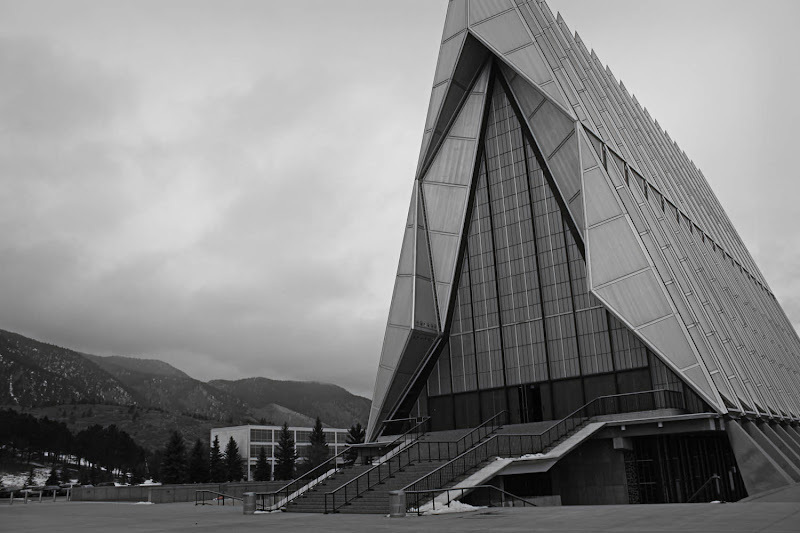 I was able to visit to the Cadet Chapel at the Air Force Academy yesterday with my dad. 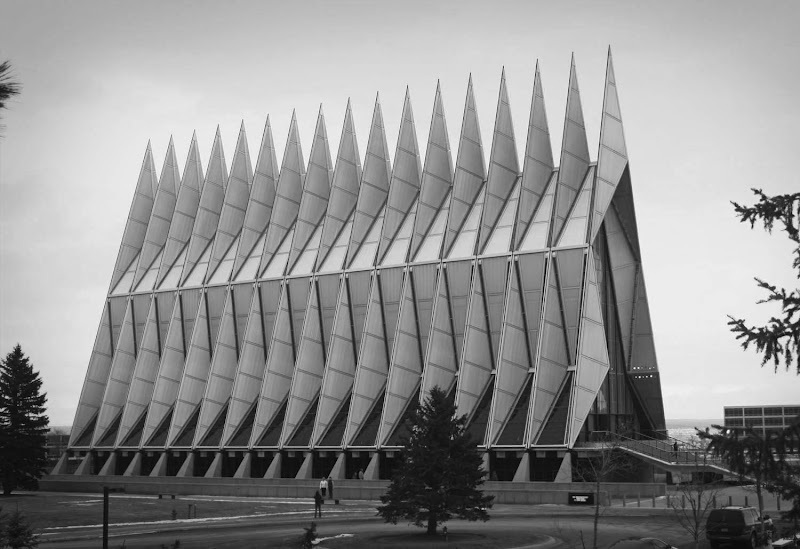 It's a very impressive design. I wasn't completely sold on it's appearance until I got up close to it, but I think it's changed my mind. It does a good job catering as a multi faith chapel with a Protestant church up top and a Catholic church, Jewish temple, and Buddhist meditation room on the lower level. More pictures to come.